January has been quite a month so far. We’ve seen storm after storm lined up and at the moment, it continues to snow. 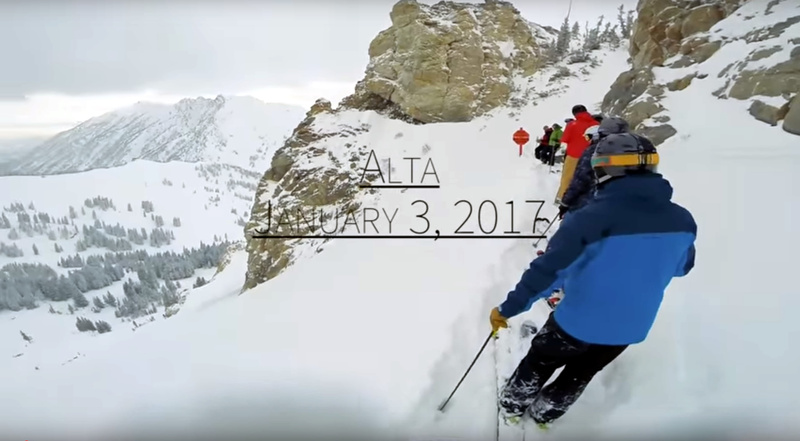 Alta’s web site shows the average snowfall in January is 95 inches. We’ve already surpassed 60 inches and it’s only January 11! As you can imagine, the mountain is getting filled in more and more with each storm and the skiing is fantastic. It’s the kind of skiing experience where you truly ski, eat and sleep and then repeat. The Daily Pow has some footage of recent storm skiing — enjoy!